An American citizen was among one of ten foreign tourists to be shot and killed when gunmen burst into a hotel in northern Pakistan. An American citizen was among ten foreign tourists to be shot and killed when gunmen burst into a hotel in northern Pakistan early Sunday, CNN reported. Matt Boland, the acting spokesman at the U.S. Embassy in Islamabad, issued a statement saying, "The U.S. Embassy in Islamabad expresses its deepest condolences to the family and friends of the U.S. citizen and the other innocent tourists who were killed in the Northern Areas of Pakistan." Interior Minister Chaudhry Nisar Ali Khan told parliament on Sunday that, “the attackers abducted two local guides and demanded they take them to where some foreigners are staying to carry out the attack." "One (guide) was then killed, another escaped and has been detained by police for questioning." 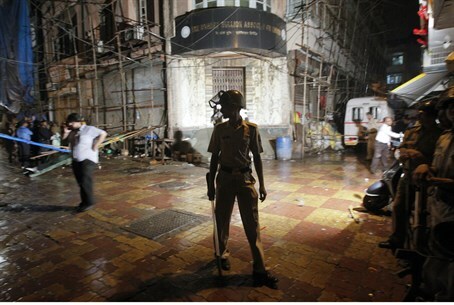 The attack took place at around midnight, said a senior police official. "This was not a big hotel, just a small log/hut type lodge, so no major security," the official said, according to CNN. A spokesman for Tehreek-e-Taliban Pakistan said an affiliated group carried out the attack. A spokesman claimed that the reason that the Pakistan Taliban targeted the foreigners was due to the international community’s support of drone strikes. The attack was also to avenge the killing of Emir Wali-ur-Rehman in a drone strike in Waziristan last month, the spokesman said, according to CNN. Rehman was the Pakistan Taliban's No. 2 leader.